– Hardy and relatively resistant to disease, this beautiful rose also has historic value — it received its name the very day that Berlin fell in 1945 and was given to each of the delegations at the meeting of the United Nations later that year. – Whether you want to convey friendship, eternal love, hope or strength, there is a flower out there that symbolizes your desired message. – Choosing flowers that remind you of a loved one can be an excellent way to feel closer to someone who is absent from your life for whatever reason. – Ideal for zones 8-10, this plant is a show-stopper and is a wonderful choice for landscaping. 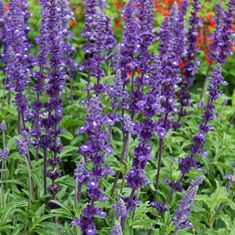 Blue salvia can grow up to 2 feet tall and 1 foot wide. – Blue salvia means “I think of you” and can be the perfect addition to a garden used for quiet reflection or meditation. 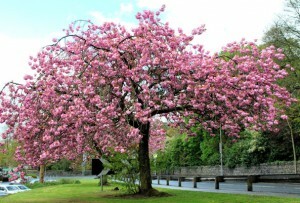 -Lastly, Choose flowers with a scent. 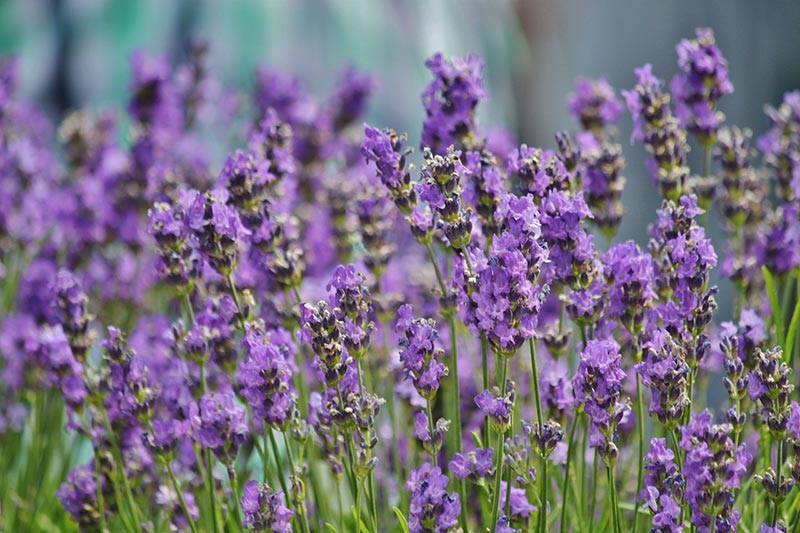 Lavender is an excellent choice and has natural calming properties. Used in teas, cooking and as an essential oil. Put a couple drops in your bath to help you relax, or dab a couple drops in and oil infuser for the perfect nights rest. This entry was posted in Feature Garden on May 2, 2016 by outdoorliving303. 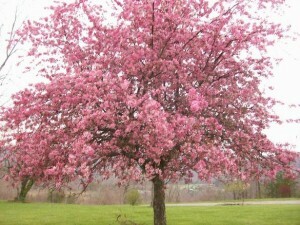 So many pretty trees I see! 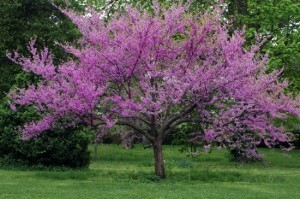 Here are 4 of the most popular spring flowering trees in Colorado. The eastern Redbud is native to the Eastern US and is one of the first trees to bloom in the early spring. 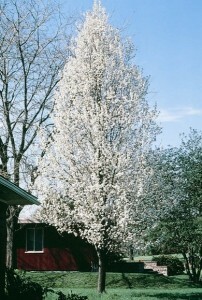 They bloom from late March to early May. The Japanese flowering cherry (also known as the Yoshino cherry) is the darling of the flowering tree world and the star of such renowned events as the National and International Cherry Blossom Festivals. 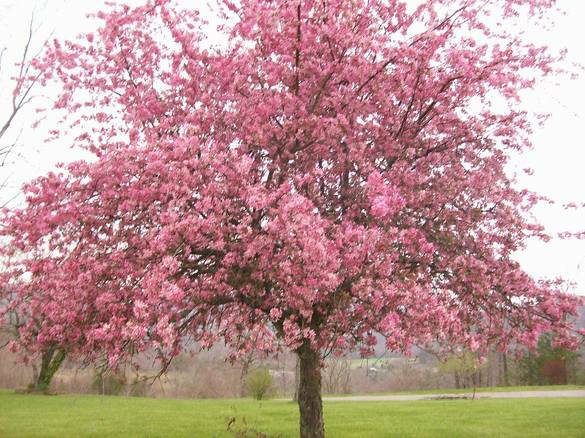 This stand-out tree is, of course, known for its vibrant display of white-pink blossoms and faint almond fragrance in the springtime. In the summer, this tree will be a highlight in the yard with its oriental branching pattern, glossy bark and dark green leaves. This entry was posted in Feature Garden on April 4, 2016 by outdoorliving303. How to receive the results you want out of your landscape design. Your home’s landscaping makes up a central part of its character. Its personality. Costs for landscaping will hinge on the extent of your ambitions. Are you moving into a new home, working with a blank slate? Are you moving into an existing home and want the landscaping to reflect your style? 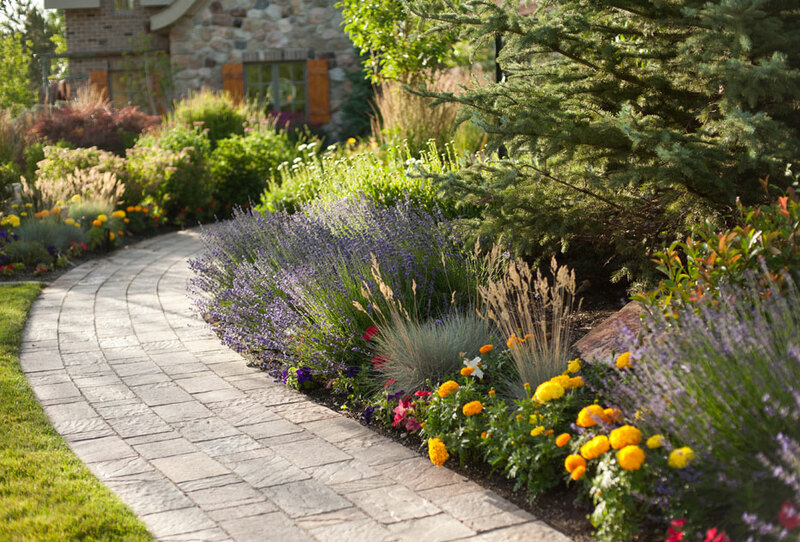 Or are you revamping your own yards? Regardless of the starting point, start with the big questions before you even start thinking about designs: What do you want out of your landscape? Do you want to create more privacy and security? Do you want a landscape that requires little water or maintenance or do you want flower or vegetable beds that will keep your hands covered with dirt all spring, summer and fall? Landscaping can be as simple as having a small lawn with a few flower beds or as complicated as intricate rolling hills and pathways, with carefully chosen plants and trees. They could include patios, water features, and fire elements. This is an area that makes sense to find a landscape designer that can give you quotes on different projects. First, set a budget! This is the key to getting the right design for you. Second, I love to tell clients to look at pictures so they can get a good visual. I highly recommend using the website Houzz. Houzz is a web site and online community about architecture, interior design and decorating, landscape design and home improvement. The Houzz platform and mobile apps feature photos, articles, product recommendations, and a user forum. You can look through thousands of photos and save them to an idea book and give this to your designer when you meet to go over your design. Lastly, Have fun in the process! This is your home and your space, enjoy the transformation!! This entry was posted in Feature Garden on March 22, 2016 by outdoorliving303. What you need to know: Pavers or Concrete, you decide. Some paving materials are more cost-effective than others, and certain types are more durable and easier to maintain.The most commonly used paving materials today are concrete slabs and paving stones. Each option can provide different advantages depending on your needs. Poured concrete slabs are often used for outdoor residential spaces due to their cost and relative ease of installation. 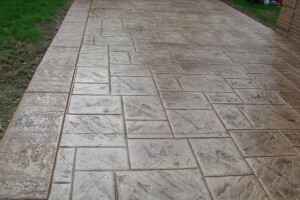 With the development of stamped concrete, homeowners also have options as far as designs and textures are concerned. Paving stones are individual sections made from various materials like natural stone, concrete or brick. Many of these pieces interlock, which makes for a flexible system that is extremely durable. Standard concrete slabs are generally lower in cost per square foot than the alternative. Typically, you will pay 10%-15% more if you choose paving stones over standard concrete slabs. If you decide to upgrade to stamped concrete, paving stones will most likely cost you the same or even less in most cases. While a concrete slab is more affordable upfront, the long-term costs for repairs and/or replacements will almost always outweigh the initial savings. Concrete is relatively easy to maintain, however, staining and cracking will often occur and become an eye-soar as the slab ages.If you upgrade to stamped concrete, the cracks and stains can often be hidden or become less noticeable. You can also coat each slab with a protective sealant, to help prevent stains from penetrating the surface. If the cracks and staining become more noticeable you will most likely need to replace the entire slab.You can opt to spot treat problem areas, however, the treated areas will often end up looking like a patch or band-aide, since it is very hard to match the color of an existing concrete slab. Most paving stones generally require little care, but the joints between each stone may need attention from time to time. Although the base of each stone is designed to flex with any ground movement, the stones can still shift or crack over time .If any settling should occur, the stones can be lifted, the base can be re-compacted, a new layer of bedding sand can be applied and then the stones can be set back into place. Concrete slabs longevity is greatly affected by the movement of the earth. Slabs are prone to splitting and cracking if the ground beneath it shifts.The surface of the concrete slab may remain level for awhile, but a crack is inevitable once the soil becomes unstable. Additionally, changes in temperature can cause the concrete to expand and contract, which will also result in cracking.With pavers, water rarely tends to settle onto the surface because of the numerous joints in between each piece. With a properly graded installation, drainage issues should never occur. Pavers are rated to be 4 times as strong as a typical concrete slab which means they can handle 4 times as much weight on their surface before they would crack. A great benefit about pavers is that we are a Authorized Contractor through Belgard, which means Belgard backs up their paving stone products with a Lifetime Guarantee against breaking and cracking, so if a paver should ever fail, you will be covered. Due to the installation process and their interlocking system, paving stones are extremely flexible and are able to disperse the pressure or weight evenly, which prevents cracking. Some paving materials are stronger than others, but most individual units are less susceptible to breakage because they are made to move with the earth. Paving bricks also stand up very well to changes in the weather conditions with their ability to expand and contract without cracking. If a concrete slab becomes severely damaged, chances are it will need to be replaced. The entire slab must to be removed, and you will need to have new concrete poured.This can be costly if more than one area needs replacing. You can fix minor problems by patching cracks or having a professional resurface the concrete. Patching often results in mismatched coloring, which can be unsightly in prominent areas. Because pavers consist of individual interlocking stones, each unit can be replaced as needed. When one paver becomes damaged the interlocking system allows you to easily remove only that piece and replace it with a new one. This is a lot less expensive option than replacing an entire slab of concrete. Another advantage is that if you should ever need to get access to underground utilities or fix a leaking drain-line, you can do so relatively easily. The stones can be removed, the problem area can then be addressed and then the pavers can be replaced without even knowing there was a problem.With a concrete slab, you would have to saw cut, remove the concrete, address the problem area and then re-pour new concrete, which will never look the same as the existing slab. Now you will be left with a patch. Typical paver maintenance may include power washing your pavers and resealing the joints every couple of years. This entry was posted in Feature Garden on March 16, 2016 by outdoorliving303. Retaining walls are an attractive and functional addition to any landscape design. 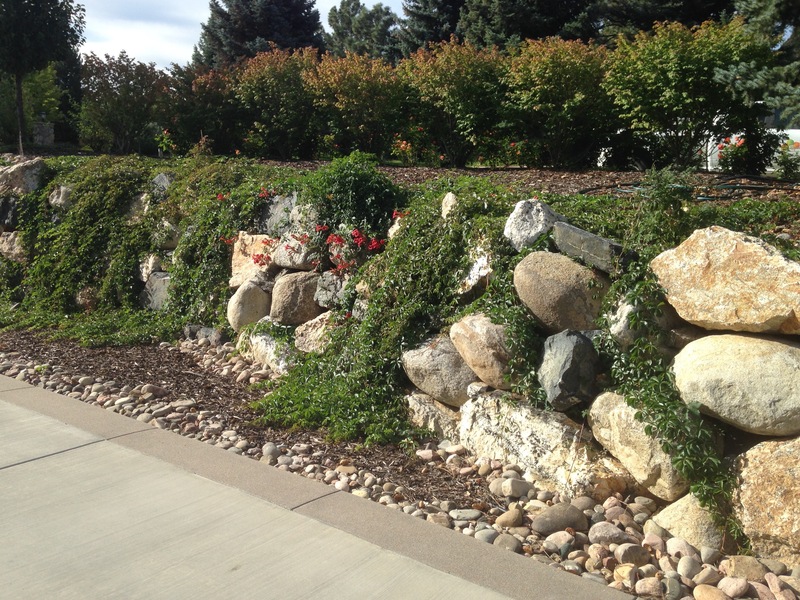 Whether you have a naturally sloped property, or are contouring your landscape to create visual interest, retaining walls will create a clear delineation between property levels, can be used to create flat, usable terraces and will help to prevent erosion. Natural stone retaining walls have been used for thousands of years so there is an inherent element of tradition in their appearance. Because stones can be found in a variety of shapes, colors and textures, there is also a creative element involved in using natural stones. The best natural stones are those made from heavier, denser rocks such as granite or field stone. Natural stones are more expensive, and can be more labor intensive to set correctly. 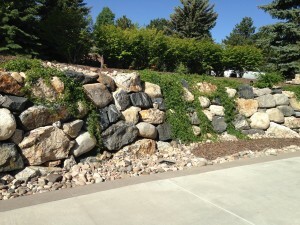 They are best used for shorter and narrower sections of retaining walls to maximize stability. This entry was posted in Walls on March 1, 2016 by outdoorliving303. 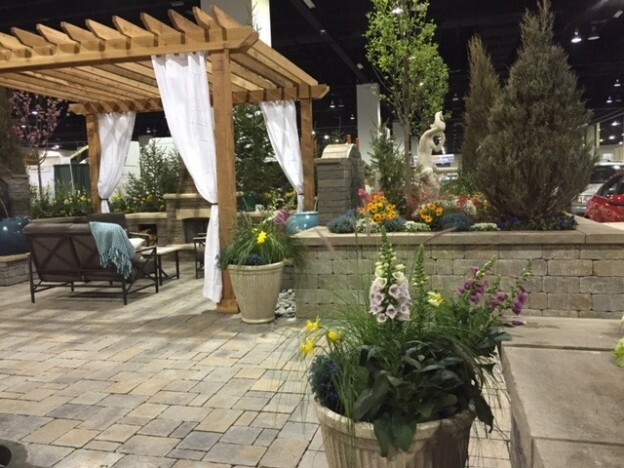 Feature Garden at the 2016 Spring Colorado Home Show. Aspen Falls Was honored to be a feature garden for the Colorado Home Show for the second year in a row! The theme was Mountain Mediterranean. The team did a great job with the design and implementation from the beginning to end. Just to you give you and idea of how it all works I’ll briefly take it from the beginning. 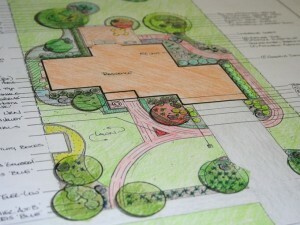 In order to be a feature garden, you must submit a concept and design. Once accepted out of hundreds of landscape companies the process begins. The design team puts in the work of making sure everything is designed correctly to scale and then the ordering begins. This is anywhere from 5-7 months prior to the opening of the show. 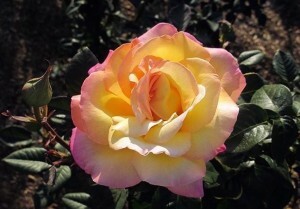 The ordering is crucial to the garden as there is no room for error, as with any garden plants are a huge factor. You may wonder how we receive plants in the middle of winter, well its a matter of placing an order and having them sent to our local nurseries green house to force bloom. As we approach the date of the show by 2 weeks our teams start building in sections part of our garden at our shop, pergolas, water features, outdoor kitchens etc. This will save crucial time once we are allowed access at the convention center. When day 1 hits us our crews are off installing for 3 straight days at the show. By the 4th day we have our decorator and designers come decorate, plant flowers and stage the garden. The 5th day is making sure everything is pristine and running smoothly. On the 6th day the show is open and we welcome all our visitors. We hope you had a chance to stop by and take a look at our garden and say hello. We love seeing existing clients as well as meeting with new ones! This entry was posted in Feature Garden and tagged Colorado Home Show 2016 on February 24, 2016 by outdoorliving303.